This is a curved square A. Gettelman porcelain sign. This particular A. Gettelman sign is predominantly blue with touches of red and yellow. It reads, “A. 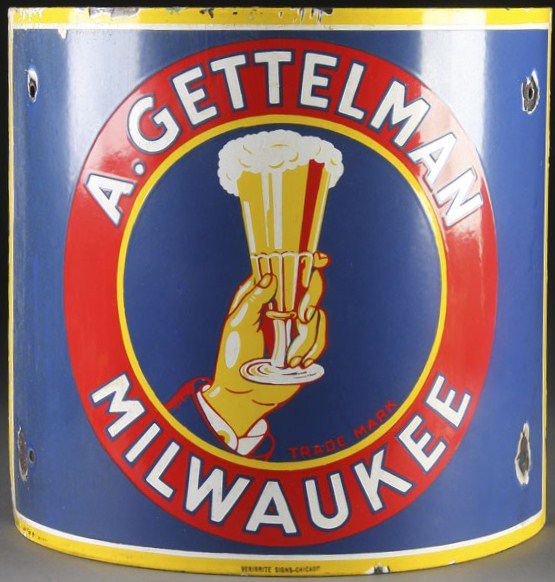 Gettelman, Milwaukee, Trade Mark” and features a hand holding a glass of foaming beer.